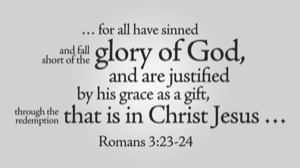 The third step to knowing God is believing that Jesus Christ paid the penalty for your sins.Picking up where Romans 6:23 left off, "but the gift of God is eternal life through Jesus Christ our Lord." Romans 5:8 declares, "But God demonstrates His own love toward us, in that while we were still sinners, Christ died for us." Jesus Christ died for you! Jesus died to pay the penalty for our sins and rescue us from eternal spiritual death. Jesus' resurrection from the dead is evidence that God accepted Jesus' death as the payment for our sins.